Measuring 6" in length, our letter openers feature timeless vintage designs engraved onto a zinc alloy body. 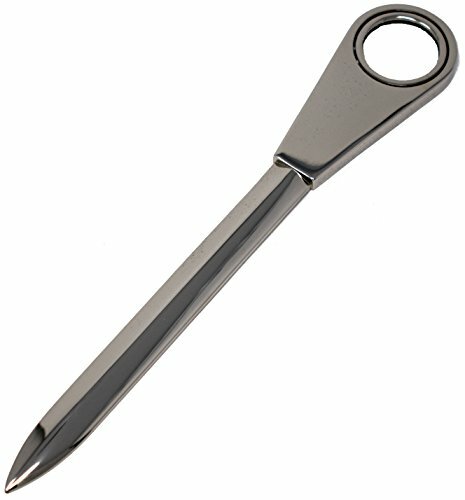 Our Easyglide letter openers have a polished finish that makes opening any letter or envelope a breeze. Available in steel and gold finishes. Long, smooth blade means you can use this for any sized envelopes. Measuring 6" in length, our letter openers feature timeless vintage designs engraved onto a zinc alloy body. Our Easyglide letter openers have a polished finish that makes opening any letter or envelope a breeze. Available in steel and gold finishes. Long, smooth blade means you can use this for any sized envelopes. If you have any questions about this product by Stephanie Imports, contact us by completing and submitting the form below. If you are looking for a specif part number, please include it with your message.